A smoothie is one of my all time favorite drinks! It's healthy, refreshing, and it definitely will fill you up. 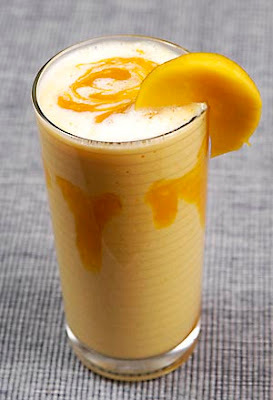 Well Jet Setters...a Lassi is basically a yogurt-based North Indian version of a smoothie and it's oh so good! 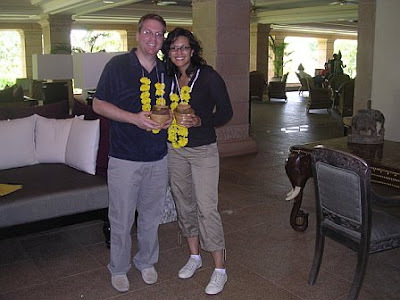 When my husband and I went to India, we were served one upon arrival and instantly became hooked. My favorite one that I had was a Mango Lassi, and since we've been back I've made all different ones- mango, raspberry, strawberry, banana...you name it. And because it's so easy to do, I wanted to share the recipe with you so that you can make one and feel like you've jet setted to India right in the comfort of your own home. Try it and you'll be Sipping on Lassi Juice all of the time! - Serve in glass and garnish with mango slice! That drink sounds really good. thanks for the recipe. I love smoothies! I will definitely try this recipe. It sounds delicious! I'll let you know how mine turns out. Thanks for the recipe!